Mokulua (meaning, "the two islands") are two islets off the windward coast of O‘ahu. They are also commonly known as "The Mokes" or the "Twin Islands." 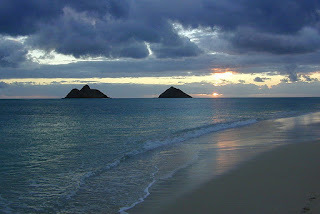 They are about a mile off Lanikai.